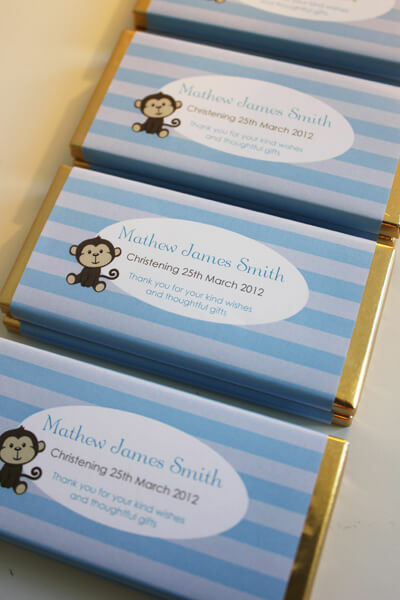 These cheeky little blue monkey design personalised chocolate bar favors will make perfect favours for any special event. Each chocolate bar measures 9.5cm x 4.5cm and are 25 grams each and have a typical best before date of at least 6 months. If your function date is still a while away you can still place you order and your chocolates will be sent closer to the date you require them. Colour changes are available free of charge by special request.